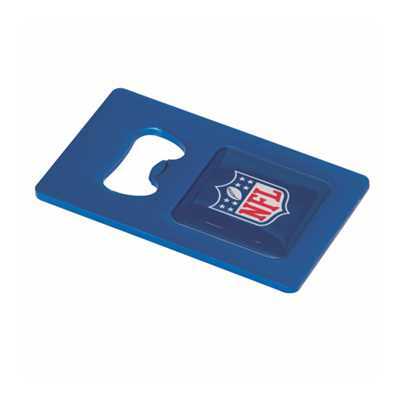 Description:This convenient bottle opener is made from light-weight aluminium and slips easily into your wallet or pocket. Your logo is printed in full colour under a protective dome. Available in 13 metallic colours. (Due to the production process, fine moulding lines may be visible - this will not affect the performance of the product).